The Friday Five: Surviving the polar vortex, football’s insurance problem. Site Home » Uncategorized » The Friday Five: Surviving the polar vortex and football’s insurance problem. The Friday Five: Surviving the polar vortex and football’s insurance problem. Every week The Friday Five will bring you interesting news and information from around the insurance industry. This week: Surviving the polar vortex, football’s insurance problem, and life insurance resolutions. Will your insureds’ pipes survive the polar vortex? Excerpted from Jayleen Heft’s PropertyCasualty360 article, 10 ways to prevent frozen pipes & avoid costly insurance claims: Frozen water pipes and the damage they cause are a reality for thousands of people each year. And unfortunately, a burst pipe can cause more than $5,000 in water damage, according to the Insurance Institute for Business & Home Safety. Luckily, there are steps you can take to prevent pipes from freezing. Insurance agents are encouraged to help their business and homeowner clients are prepare for the extreme temperatures. Homeowners wonder: am I protected during the polar vortex? 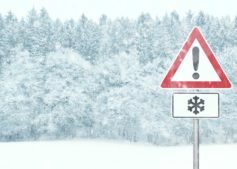 As the warm-up begins following sub-arctic temperatures spun from the polar vortex, many homeowners may find their property hasn’t come through unscathed. Busted pipes, cracked windows, damage from fallen branches, roof collapse and ice damming are among the many types of house damage caused by extreme cold, ice and snow. The good news is that homeowner’s insurance will include most winter-related damage to homes. Read more in Janna Herron’s USA Today article Who pays if the cold weather from the polar vortex damages your home or car? Excerpted from Aubrey Gene’s PropertyCasualty.com article Hard times: The NFL’s insurance struggles: The last decade has seen an influx of data on the possible long-term effects of traumatic brain injuries in all contact sports, with the biggest buzz surrounding football, thanks to a litany of costly, headline-stealing litigation. According to an investigative report from ESPN, there is presently only one insurer willing to write Workers’ Compensation that covers head trauma for the NFL. None will offer the league general liability that covers head trauma. Though life insurance is intended to provide security during one of life’s most difficult emotional and financial situations – the passing of a loved one – people too often view paying for it as an unnecessary precaution or expense. This misconception is largely due to the lack of American consumer education about life insurance as well as an antiquated industry burdened by outdated processes Peter Colis, in his Forbes article, Four Reasons Life Insurance Should Be One of Your 2019 Financial Resolutions, lays out why consumers should add life insurance to their financial resolutions. A new federal rule compelling mortgage lenders to accept both private and government-backed flood insurance policies aims to increase the availability of private flood insurance in flood-prone states like Florida, Louisiana, and Texas. The sector is currently dominated by a multi-billion dollar government program in part because private insurers have historically been reluctant to enter a market well-known for its potential for large losses. Read more in Duffie Osental’s article, New rule paves the way for larget flood insurance market on insurancebusinessmag.com.